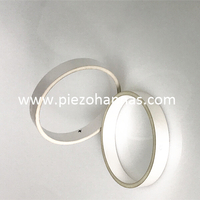 Dimensions: 77*66*40mm Material : Pzt -8 Applications：Underwater communications,hydroacoustic transducers,underwater acoustics, sonar. 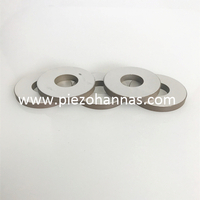 Dimensions: 34*30*14mm Material : Pzt -4 Applications：Underwater communications,hydroacoustic transducers,underwater acoustics, sonar. 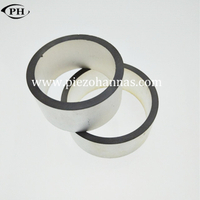 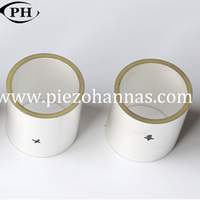 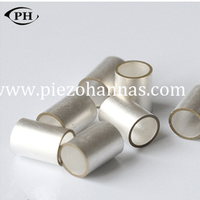 Dimensions: 61.6*56*10mm Material : Pzt -51 Applications：Underwater communications,underwater acoustics, sonar. 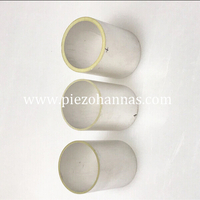 Size :Φ6.35×Φ4.9×6.35mm Application: Underwater communication device, Hydrophone , Sonar. 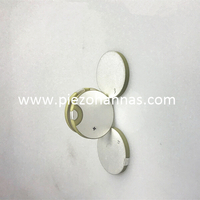 Size :38x31x25mm Application: Underwater communication device, Hydrophone , Sonar. 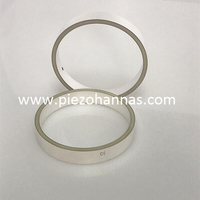 Dimension: Outer Dimension: 7.65mm Inter Dimension: 6.5mm Height: 6.5mm Application: Underwater communication device, Hydrophone , Sonar. 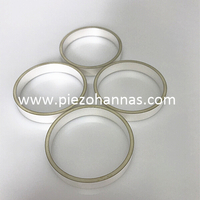 Dimension: Outer Dimension: 32mm Inter Dimension: 28mm Height: 20mm Application: Underwater communication device, Hydrophone , Sonar. 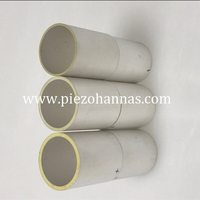 Dimension: Outer Dimension: 30mm Inter Dimension: 25mm Height: 18mm Application: Underwater communication device, Hydrophone , Sonar. 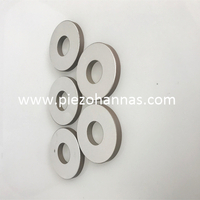 Dimension : OD50mm xID20mm x Thi6mm Features of Piezoelectric Crystals： Good Stable High Sensitivity All dimensional Accurate measurement Please contact us as soon if any requirements. 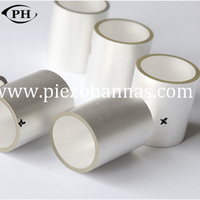 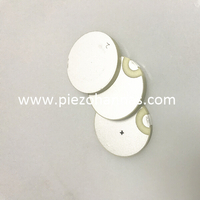 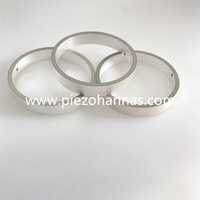 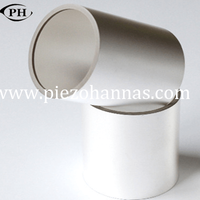 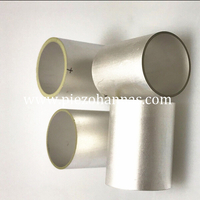 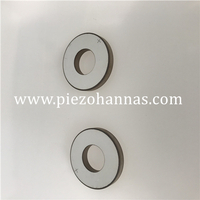 - Piezo Material: PZT-4 - Dimensions: Φ20 × 2mm - Resonant Frequency: 1000 ± 10%KHZ - Resonance Impedance: ≤15Ω - Static Capacitance: 1800 ± 20%PF - Electrode: Silver electrodes on one side - Vibration mode: Thickness mode - Applications: Flow sensors Application: Piezo transducer for milk analysis, Piezo transducer for vibration, transducer for matter dispersion, Sonar transducer Ultrasonic sensor, vibration sensor, wall thickness sensor, material stress sensor, pressure sensor, energy electricity harvesting, compression sensor, piezo expansion sensor and others.